We have a lot to be thankful for this year! We are offering Black Friday deals at our Haywood Mall kiosk location and Cyber Monday sales at our online store. Be sure to tag us on social media in all your Triumph gear...we'd love to see where you take the Triumph this holiday season! 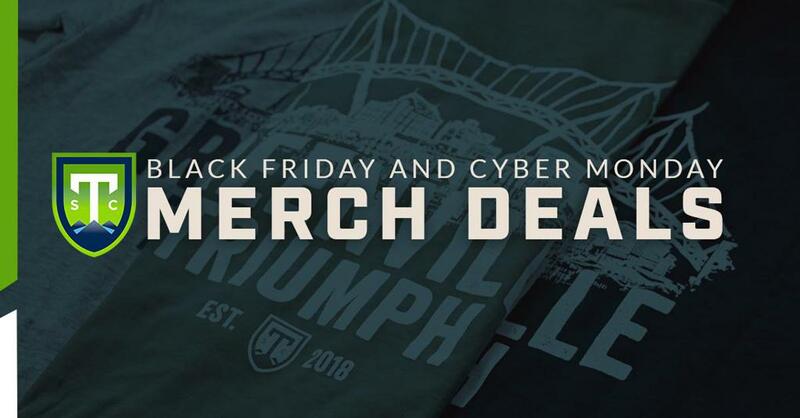 The Triumph Kiosk (located by the Apple Store and Pottery Barn in the Haywood Mall) will be open on Thanksgiving from 5pm - 1am, Friday, November 23 from 6am - 10pm and Saturday, November 24 from 9am - 10pm.